1. Museums - Despite often being a bit of a tourist hot spot, there's something I find about touring museums to be incredibly peaceful. If you go during the week they're often less crowded and you have time to really engage with everything that's on offer. One of my favourites is The National Gallery, as it's usually really close to everything I'm doing. Just popping in while I've got some time to spare, taking a seat in a room and just looking at the art instantly makes me feel more relaxed. 2. Afternoon Tea - I had to throw a foodie one in there didn't I? Of course, you all know from The Tea Files that I love a bit of afternoon tea, especially when it's amazing! Heading out with some friends or a loved one never fails to make me smile; delicious food, a good chat, what more could you want? London is full of amazing spots for a fantastic afternoon tea, so be sure to check out my previous posts to find out my faves! 3. Moroccan Hammam Spa, Harrods - There's nothing like a classic spa treatment to make you feel like you're light as air! A new favourite in Harrods has taken relaxation to a whole new level with their Hammam experiences. It's unlike anything I've ever seen before, where you experience a traditional Moroccan treatment in two warm rooms. If you're confident enough you can go in totally bare, or you can rock swimwear otherwise! Definitely a must visit. 4. Hyde Park - Another freebie favourite, Hyde Park is just a London classic. There's so many parts of it that it's hard to pick a favourite spot, but there really is something for everyone, especially when the sun is shining. Take a spot by the river or shade under a tree, whip out a book or just watch the world go by. 5. Daunt Books - One of my favourite bookshops in London, Daunt Books is one of those magical places where you can really immerse yourself in books. It has seating areas so you can sit back and relax after perusing the shelves for a new read. Definitely the Belle in me coming out here! 6. House of Minalima - I'm not sure how busy this one is now, but the House of Minalima is the perfect spot for a little bit of a wind down, especially if you're a Harry Potter fan. I've written a post about this place previously, but it really is so special. Last time I went it was empty, but it will probably have picked up a little bit more now that the play has opened. If you catch it on the off chance that you can take a browse, it definitely feels like being transported to another world. 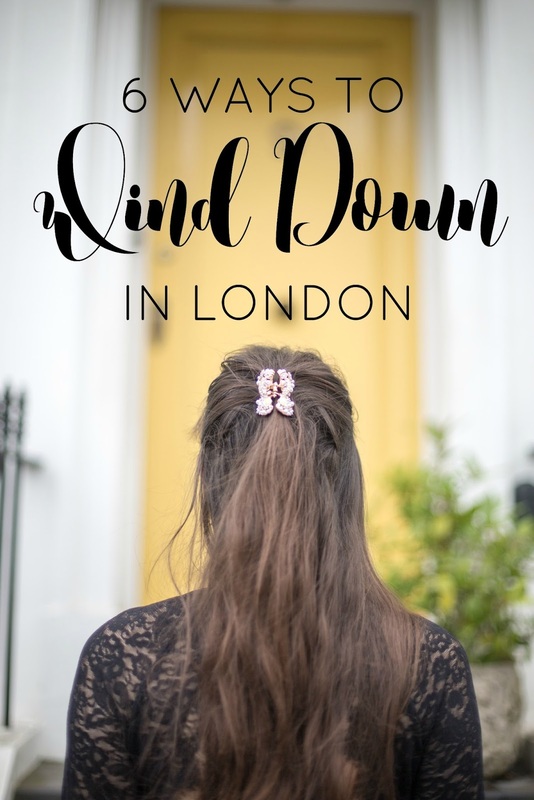 Let me know what you think of my relaxing London spots in the comments and if there's anywhere you like to go to wind down in London, or your own hometown! This post was written in collaboration with Urban Retreat at Harrods, but all love of London and relaxing are my own. Nominate me for 'Best Fashion Blog' in the Bloggers Blog Awards HERE!